McLaren Special Operations’ latest creation comes a year after MSO’s first bespoke project on the second-generation Super Series, the 720S Velocity by MSO, which was shown in Geneva in 2017. With a fusion of Volcano Red and Nerello Red paint colours, its explosive looks more than matched its performance. In the 12 months since – during which time the 720S has garnered five-star road test verdicts as well as awards including the world’s most beautiful supercar – few of the nearly 1,500 McLaren 720S delivered since launch have not borne at least some MSO influence. The earliest build allocation for a ‘standard’ car is currently July of this year. The Atlantic Blue body provides a fresh interpretation of the ‘shrink-wrapped’ design language introduced for the 720S, which features innovative aerodynamics, smoothly sculpted surfaces and iconic double-hinged dihedral doors. Commissioned for the 88th Geneva Motor Show, this latest MSO project showcases both the boundless extent of MSO’s bespoke craftsmanship and the MSO Defined range of personalisation choices – options that have allowed 720S buyers such creative expression in realising their own perfect Super Series model. MSO’s hand-crafted artistry is able to fulfil McLaren clients’ most demanding expectations. Its capabilities range from crafting entire one-off cars to providing specific aerodynamic and lightweight componentry, adding functionality and developing the special materials, finishes, colour and trim that are used to such stunning effect by the Atlantic Blue 720S making its debut in Geneva. The second-generation Super Series marries McLaren’s most extreme take yet on supercar performance, with a plethora of luxury and convenience features in the glass teardrop cockpit that further reinforce the acclamation of the 720S as a supercar with the broadest range of abilities. Providing the most focused driving experience thanks to innovations in aerodynamics, proactive suspension control, carbon-fibre construction and one of the world’s most potent 4.0-litre twin-turbocharged V8 engines, the 720PS (710bhp) 720S can deliver a top speed of 212mph and despatch 0-62mph in 2.9 seconds. None of this is at the expense of comfort: heated electric seats, keyless entry, soft-close doors, cruise control, electrically adjustable steering column and advanced climate and connectivity systems are among the standard features. MSO bespoke elements that take this formula to another level comprise the newly-developed Atlantic Blue paint and an interior swathed in Saddle Tan leather with contrasting Slate Grey stitching. The cockpit is further distinguished by Carbon Black leather and Grey Alcantara accents. Even the floor mats are bespoke. Setting off the Atlantic Blue paint are Dark Palladium exterior finishes, gloss finish Visual Carbon Fibre, and Zircon window surrounds. The stainless-steel sports exhaust has Titanium finishers and the twin-spoke lightweight wheels feature a bespoke Graphite Grey finish. The brakes – as on all McLaren 720Ss – are carbon-ceramic and for this special model feature black calipers with McLaren branding. MSO Defined features inside the cockpit characterise the demands of a typical McLaren 720S owner, with priorities for both track driving and everyday usability. 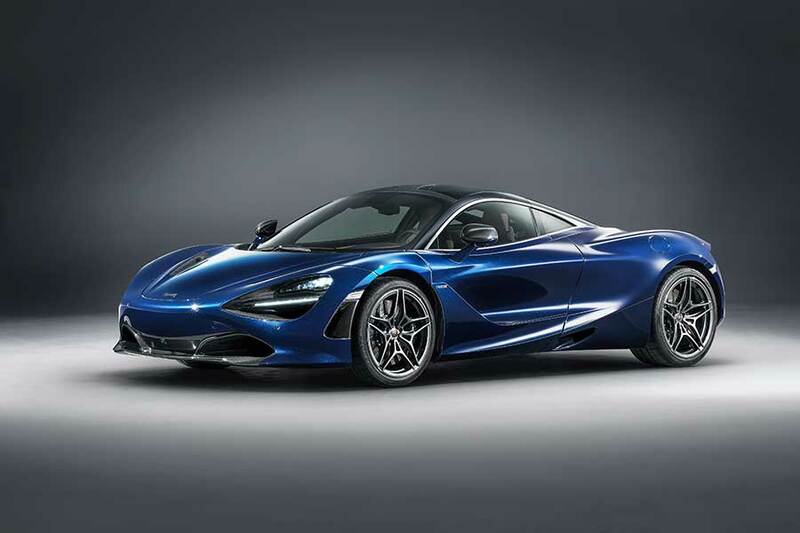 The McLaren 720S in Atlantic Blue by MSO comes with both the McLaren Track Telemetry and camera system for circuit enjoyment and a 360-degree Park Assist system of sensors and cameras to ease city driving. The car is also equipped with a vehicle lift to avoid damage over ramps and speed humps, and to while away motorway miles there is a Bowers & Wilkins 12-speaker audio system. 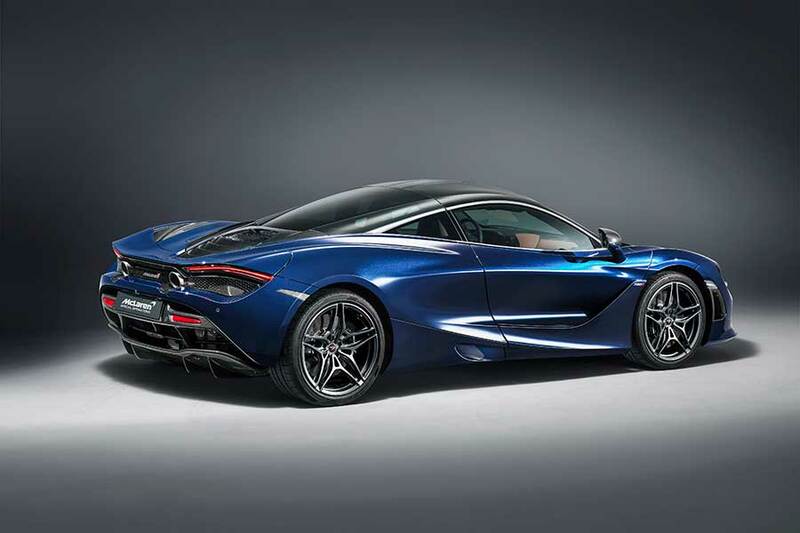 This unique McLaren 720S in Atlantic Blue by MSO carries a price tag of £281,260.